For local, state, and federal government agencies, data management goes hand-in-hand with effective communication and top-quality infrastructure. Even the smallest failure pays a heavy toll in taxpayers’ eyes, so government administrators are keen to find reliable solutions from reputable service providers. However, government institutions typically have to deal with shrinking budgets in proportion to the services they’re expected to provide. At the same time, administrative obstacles can lead to situations where multiple agencies fail to consolidate redundant technology needs, increasing the cost of service while fragmenting infrastructural capabilities. The right managed service vendor can address these issues by bringing world-class expertise to the table. 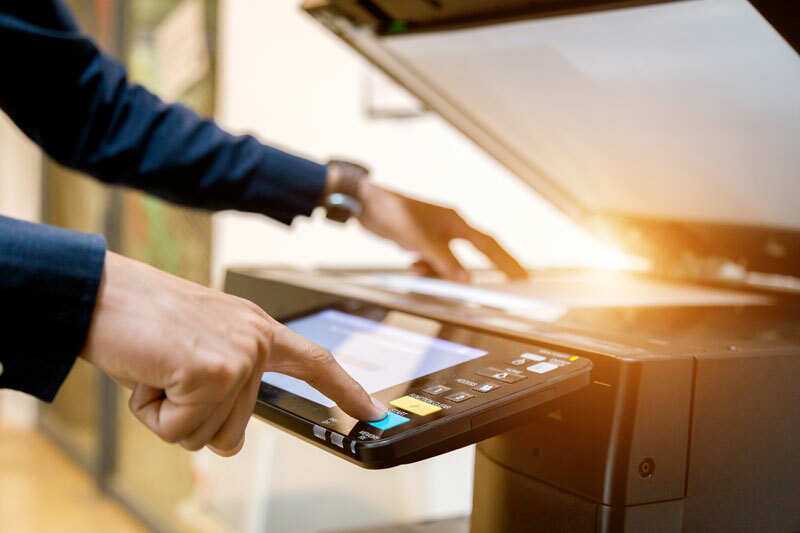 Managed print services can reduce government print spend and decrease the amount of time government IT specialists spend on low-impact tasks like purchasing print consumables and fixing broken equipment. Government administrators often run into problems that have no analogue in the private sector. Whereas a large enterprise can rely on making acquisitions after taking the appropriate steps, government agencies need to fulfill specific obligations before releasing funds for product and service agreements. Government agencies are often quick to obtain print hardware, but less willing to invest in print expertise and service. This leads to a situation where agencies have a wealth of printers to choose from, but few cost-effective print options on-hand. Not all managed print service providers are sufficiently equipped to handle government needs. Not only must the provider offer GSA-approved contracts, but it must be able to demonstrate that its offerings will offer substantial enough value to make the acquisition worth it for government administrators and taxpayers alike. Downtime is more than an inconvenience for government agencies. It can disrupt important citizen services and generate secondary effects throughout entire municipalities. Ensuring consistent device uptime is of critical importance to government agencies looking to outsource print management to a service provider. Managed print services allow government agencies to implement solutions that meet the steep challenges faced by local, state, and federal employees on a daily basis. These benefits combine to lower the price of document-related processes while improving security and compliance. Finding GSA-approved technicians who can quickly fix broken equipment is of paramount importance to government administrators. Managed print service contracts include clauses for rapid equipment repair and onsite delivery at GSA-established rates. Managed print services can also include solutions for defeating the break/fix cycle through proactive maintenance. Instead of waiting for devices to break down and generate downtime, government agencies can hire service providers to routinely maintain their print fleets and keep devices running longer. Agencies do not need to purchase print supplies from original equipment manufacturers at exorbitant prices. Print providers can leverage their agreements with managed print providers to offer up to 40% off of super store pricing for print consumables. With government IT talent spending less time on low-impact print tasks, technicians will be able to spend more time and energy implementing strategic solutions for improving collaboration and efficiency between departments. Office Technologies is a reputable provider of managed print services with experience generating valuable efficiencies for local, state, and federal institutions. Our comprehensive print assessment will identify opportunities to reduce waste and improve the cost-effectiveness of government print processes. We offer fast, cost-effective hardware repair services and consolidated print management services, including plotter and wide-format print services. Reduce government print spend use IT assets with world-class efficiency. Your government agency could be treating its print processes with greater efficiency. Speak with one of our imaging experts to find out how.